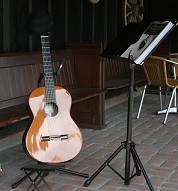 A solo guitar for your wedding? It’s your day; have your favourite music at your ceremony. A small stage footprint (and it can be smaller than shown in this photo) - perfect for intimate venues. Don’t wait. Let me know the music you want as soon as you decide. 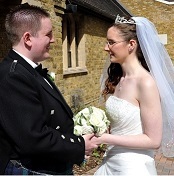 I’ll talk to your venue to make sure your day goes exactly as you want it to. Wagner and Mendelssohn standards? Bach? Pachelbel’s Canon? Something special to the two of you?